Johnny Cash is one of the most recognized names in music. He was a country singer in the middle of the 20th century, but his name is recognized across musical genres. Cash sang such songs as Ring of Fire, Walk the Line, Cry Cry Cry, Folsom Prison Blues, and Sunday Mornin’ Coming Down. Like many of the most talented names in the music industry, Johnny Cash also struggled with severe addiction problems. Johnny Cash was not only an alcoholic but abused amphetamines and was addicted to barbiturates as well. 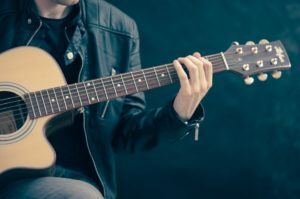 It was common for singers in those days to use speed as a form of performance enhancement— to help them cope with long days, demanding travel schedules and frequent invitations to perform at music venues and promotional events at a moment’s notice. When I Walk the Line hit number one on the country charts in 1956, Johnny Cash was on the cusp of a music career that would go on to cycle between dramatic highs and lows, nearly crashing and burning more than once because of drug addiction. If you know much about Johnny Cash, then you’ve probably heard the story about Cash trying to smuggle over six hundred amphetamine tablets and almost five hundred tranquilizers across the Mexican border. Cash ended up in quite a bit of legal trouble over his addiction. At one point he tried unsuccessfully to bribe a cop to get him out of trouble for being caught with a big bag of pills. 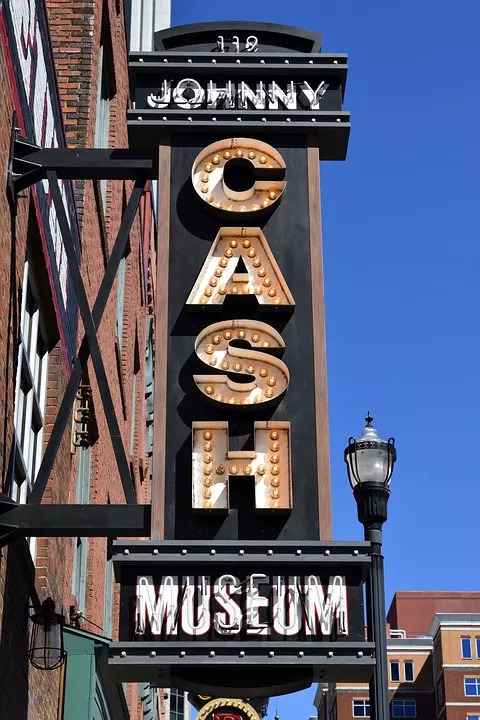 Cash instead spent the night in jail and had to listen to a lecture on wasted talent and how he was ruining his own life and the lives of those around him. In the 2005 movie, Walk The Line, Johnny Cash is portrayed as being addicted to drugs and alcohol. We see him get kind of sloppy with the other artists he’s on tour with and compromise his relationships with his first and second wives, as well as his children. We also see how Cash’s addiction threatens his career— but that’s not the half of it…. Cash’s friends called him unpredictable and joked about his erratic behavior, even though these were both symptoms of serious addiction problems. Cash got into car accidents because of his addiction, fanning off roads and hiding in caves. He was often moody, confused and difficult to work with. Perhaps with the help of some of that burning desire, Johnny did go on to get clean a few times. But he was also in and out of rehab. Cash started trying to get off drugs completely in the 1970s. Sometimes Cash was clean for years at a time. Once he had a stretch of seven years where he was completely clean. That was a period spurred by the birth of June Carter Cash and Johnny Cash’s only son, John Carter Cash. After John’s birth, Cash was sober for seven years. After that seven-year period of remission, Johnny Cash started using and drinking again. The cycle of being in and out of addiction would continue for years. It may not have helped that Cash’s second wife June was reportedly a compulsive shopper and prescription “pill popper” herself, according to her son. He described his parents’ 35-year marriage as a tumultuous relationship, but also one of unconditional love. If drugs or alcohol are ruining your life, take heart. Recovery is possible, and, to quote Cash, “you can be redeemed.” Call us now at (844) 299-0618 to learn more about our intensive inpatient treatment or outpatient detox center in South Florida. We are dedicated to the health and wellbeing of our patients. Let us help you find a new beginning.